I am still on the hunt for an activity tracker. 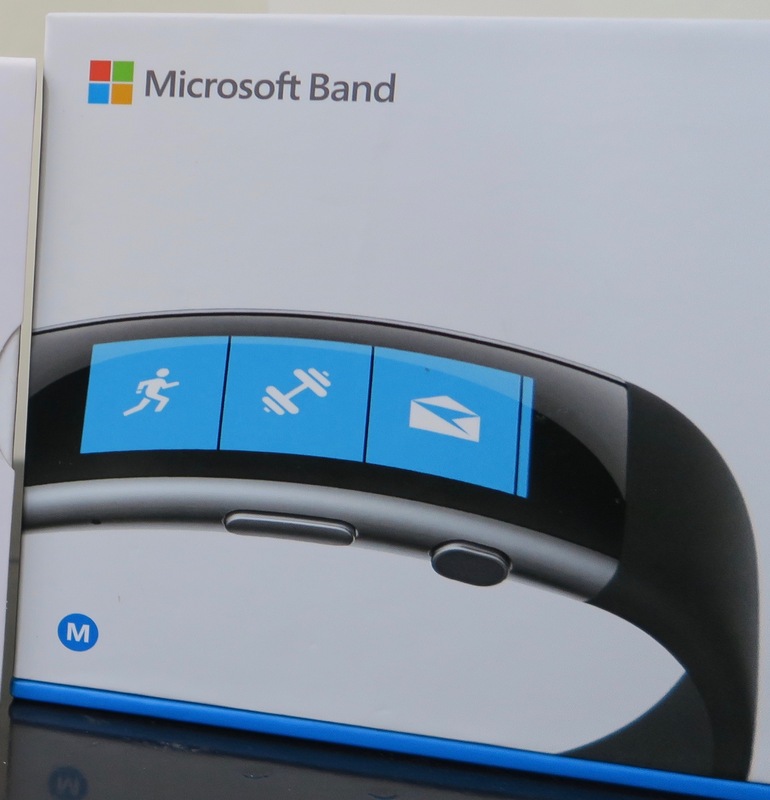 Next, on my testing list is the Microsoft Band 2, and it might be the closest thing yet. In November 2015, I was invited to an event that Microsoft sponsored to introduce the next generation of the Microsoft Band. A bunch of writers and editors met at a CrossFit gym before heading out for a run through Central Park with the Microsoft Band 2 affixed to our wrists. While everyone ran, I walked. I liked that the Band paused my workout when I stopped, had GPS, and told me when I reached miles. It also let me know my heart rate. All great things a workout band should include. The GPS is in the band so I don’t need to cart my phone with me. Overall, my first impression was favorable. The time, steps, miles, calories, and heart rate portion of the display on the Microsoft Band. I have been a sloth (as the display above can attest). I took time off of yoga to have acupuncture and I haven’t been active. I dream of exercising though I keep finding road blocks getting in my way. I decide it’s time to test the Microsoft Band 2 in real life. I imagine that much of the functionality of the Microsoft Band 2 is what might be in the FitBit Watch or even the Apple Watch. When I am close to my phone, which is basically anywhere in the apartment, I receive alerts for texts, calls and email. Luckily you can disable these notifications because my email alone would vibrate the Band off my arm. In November, I wasn’t sure I liked this functionality but during the month of March I have enjoyed not monitoring my phone for expected texts or calls. The Band alerts me and tells me what the message is or who is calling, so I only look at my phone only when I need to — always a plus. However, unlike the watches, and even the Fuelband, there are times when I find the Band a little bulky. And honestly, for all these bands that offer heart rate, GPS, and UV readings, they need to be a little bit because otherwise where would the technology be housed? In the Band, the width is at the clasp only. Sometimes this gets in the way and other times I don’t notice it. The Microsoft Band on the wrist. Top photo is the clasp; bottom photo is the display. Another cool feature is that the Microsoft Band 2 will track your sleep and not just the amount of hours, but the quality of it, using your heart rate. But since the battery life of the Band is about two days, it measures my sleep two out of three days. This is fine, since it still gives me a good idea about how much sleep is restful. As you can see from the stats below, it isn’t as good as it could be. Sleep observations for March 2016. Dark blue is restful sleep; light blue is light sleep; and orange is awake. How restorative my sleep is. What do you think? The above comes from my Microsoft Health dashboard, which gives SO much more detail than the app and than my Fuelband ever did. The desktop insights are leaps and bounds better than the app. And even the Band is better than the app in giving feedback. The app just helps with settings mostly, since everything can be done on the band. During this month of testing, I visited my Microsoft Health home page about once a week to see how I was doing and that was enough. You can see some of the screenshots below. One of my favorite insights is the calories one because it shows my heart rate throughout the day. Calories burned are the bars. Heart rate is the line graph behind it. My summary. If I had worked out more, I would have a VO2 max score. Very cool. The real question is: Will the Microsoft Band 2 replace my Fuelband? Possibly. It is sleeker than the Mio and it has a lot more functionality than both the Mio Fuse and the Fuelband. I also like that it reminds me to move every hour like the Fuelband did. However, it still feels bulking and through all this testing (there are at least two more to test) I am wondering how much I want to be wearing an activity tracker. Previous Could Eating Too Much Almond Butter Be Bad for Me?